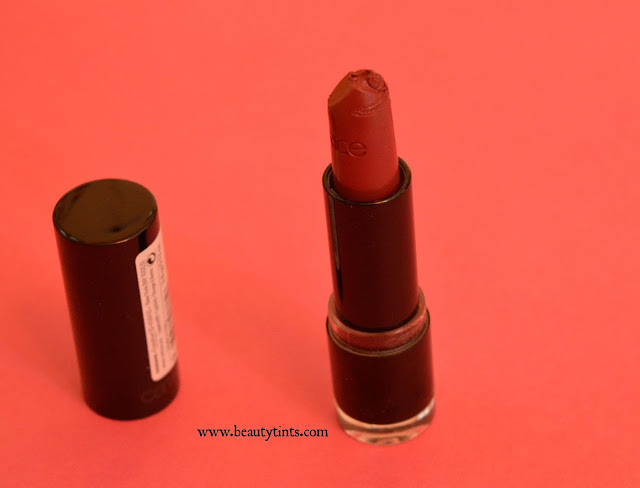 Sriz Beauty Blog: My Envy Box September 2015 Edition Review!!! My Envy Box September 2015 Edition Review!!! 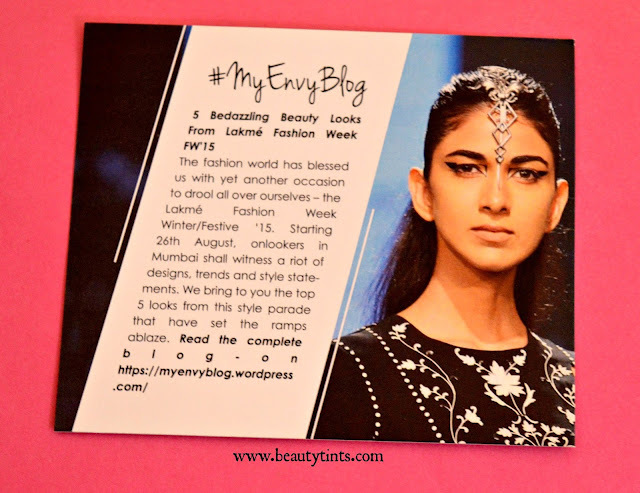 You can also subscribe for My Envy Box,which promises to deliver you with 5 samples(typically 2-10 ml) from Luxury/Prestige Beauty Brands every month at your door step. The subscription Cost of My Envy Box is Rs.850/month, Rs.2250/3 months, Rs 5100 4350/6 months and Rs 10200 85oo/ 1 year.And one more Good news is that if you book Envy Box subscription following code,you can get even more discount. 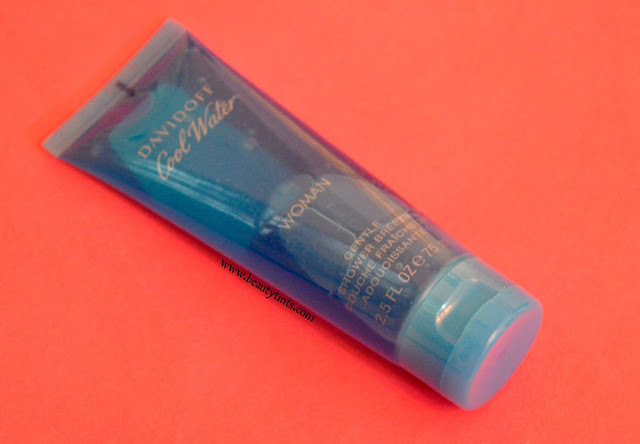 1) Davidoff Cool Water Woman Gentle Shower Breeze(75 ml) : Rs. 1,800 for 150 ml:: I have used Davidoff fragrances before but never tried their shower gel and now I am going to try this asap.It has an amazing aqua fragrance.It is a deluxe sized sample of 75 ml which costs around INR 900/-,which is more than the value of the box. 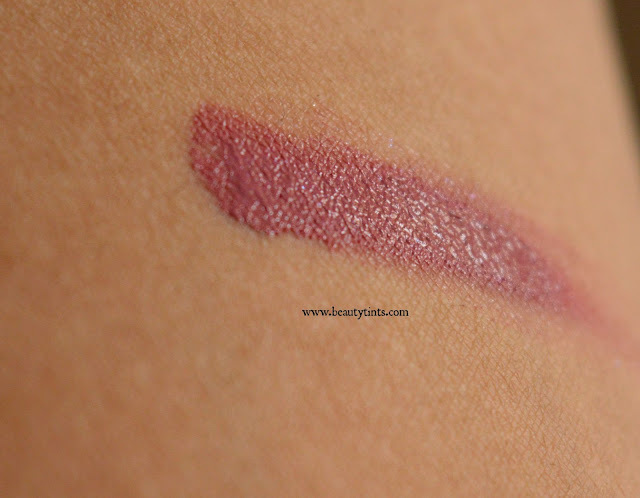 2) Catrice Ultimate color Lip Color : Rs.610 for 3.8 gm : This is the full sized product from the box and I got the shade 340 Berry Bradshaw from their Ultimate Color range,which is more like a mauve shade.There is also other range of lipsticks from Catrice called the Ultimate shine range,which few other people received in their boxes.It is very creamy and well pigmented.I try these kind of shades very rarely,but now I am going to use it more often.The sad thing is it got melted in the tube itself and when I tried to swatch it,it completely broken down from the base.I think it has to be stored in a very cool place or in a refrigerator preferably. 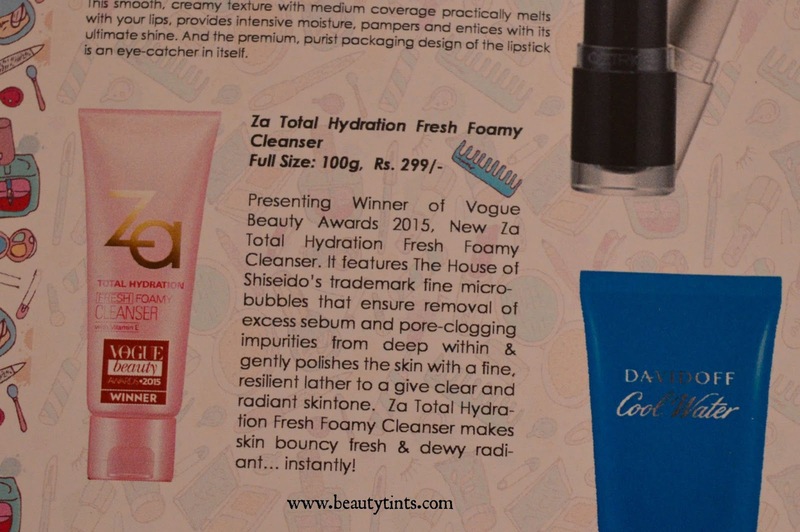 3) Za Total Hydration Fresh Foamy Cleanser : INR 299 for 100 gr:: This is a very tiny sample of 5 gm similar tot hat of other Za sample tubes,which I received in previous boxes.I am happy to receive this,as I got a chance to try this Winner of Vogue Beauty Awards,2015.I love most products from Za especially their cleansers and I am really excited to try this cleanser as well!!! 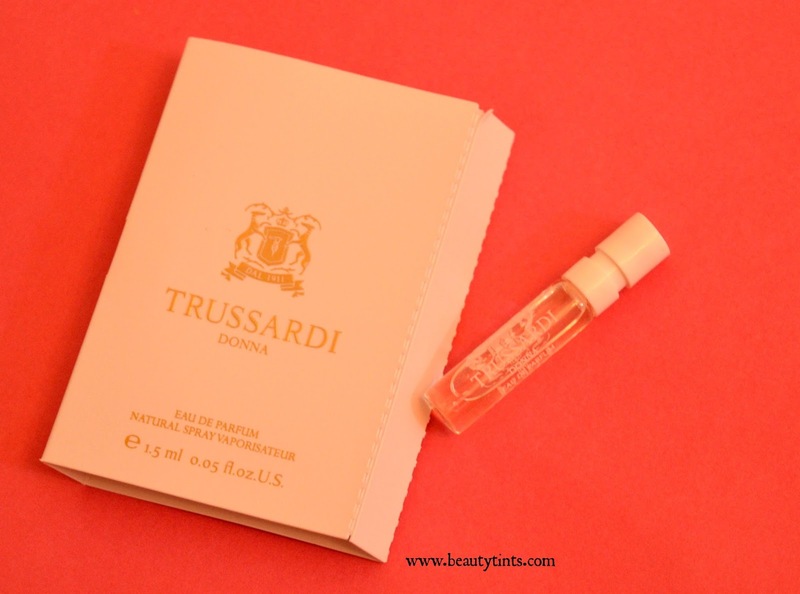 4) Trussardi Donna Fragrance ( 1.5 ml) : I love to receive Perfume samples from My Envy Box,as each time I get a chance to try new fragrances.This perfume smells Oh so amazing! with fruity top notes,floral heart notes and woody base notes. So, these are the products which I received in this Month's Box. 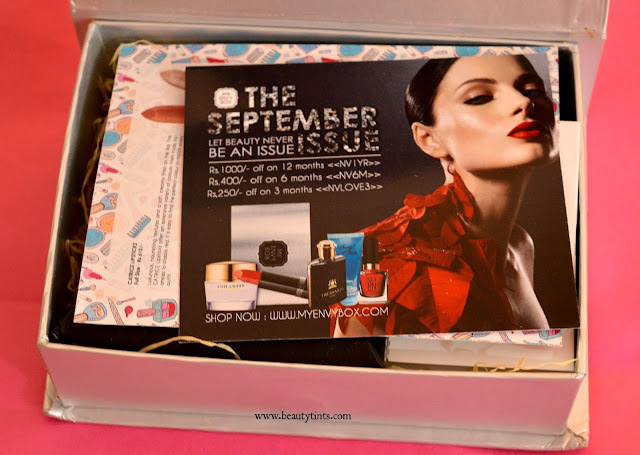 Final Conclusion About 'My Envy Box' September 2015 Edition Review : This September Box is a decent box with good mix of products ranging from skin care,body care,fragrance and make up products.I am happy for the full sized lipstick and deluxe sized shower gel from Davidoff!!! 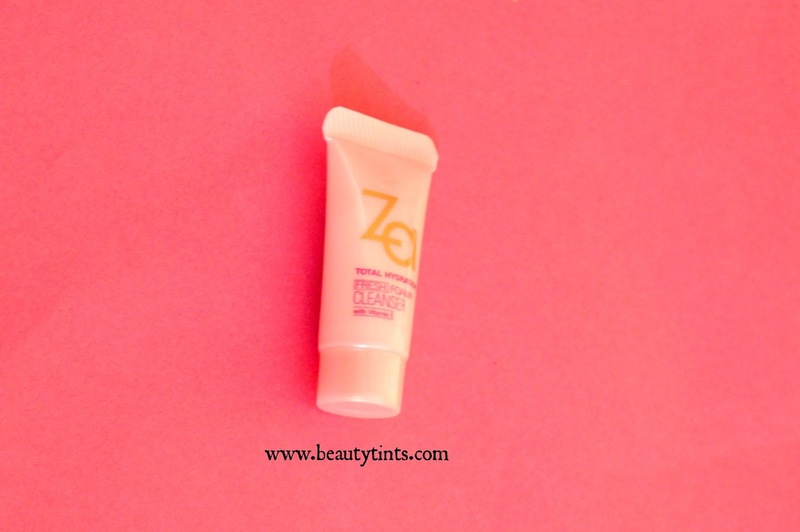 Anherb Turmeric And Lemon Face Wash Review!!! Give Your Home A Makeover With #PaintFinder !!! Gifting Ideas for a Newly Married Couple!!! Juvena Herbals Reviva Marigold Cleanser Review!!! 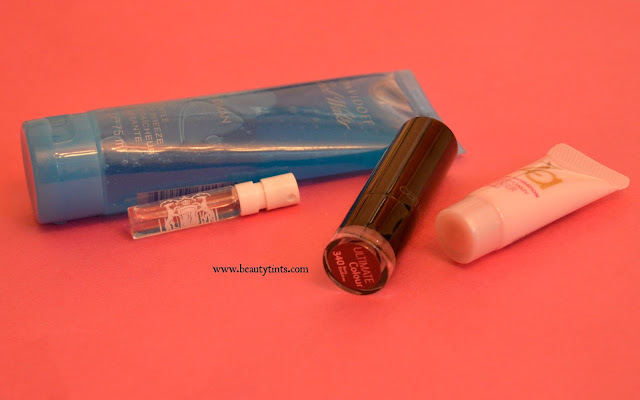 Everteen Natural Intimate Hygiene Wipes Review!!! Aster Luxury Bathing Bar Red Wine Review!!! Aroma Essentials Carrot Sunblock SPF 30 Review!!! Sheer Care Goat Milk Facial Soap Review!! !